Our solution integrates seamlessly in Microsoft Word. It provides instant access from a central location to all documents and building blocks to be used and modified. The start button is visible in the Microsoft Word ribbon. You can adjust it with your own logo. The start button gives access to all available documents. 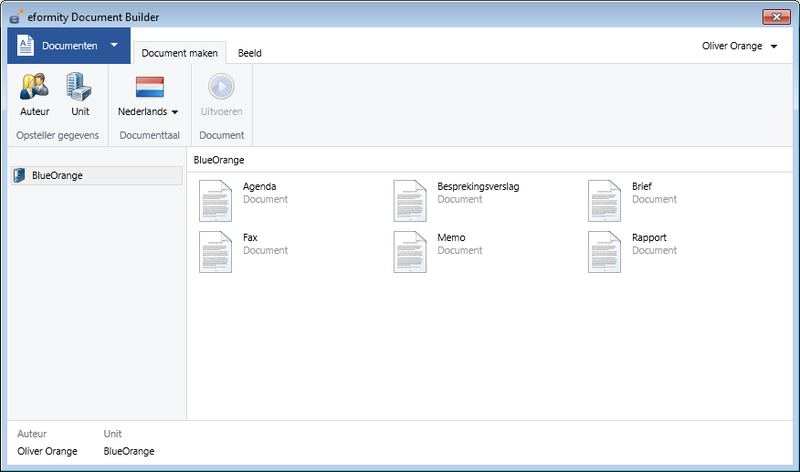 The main menu opens by default with an overview of all the documents. 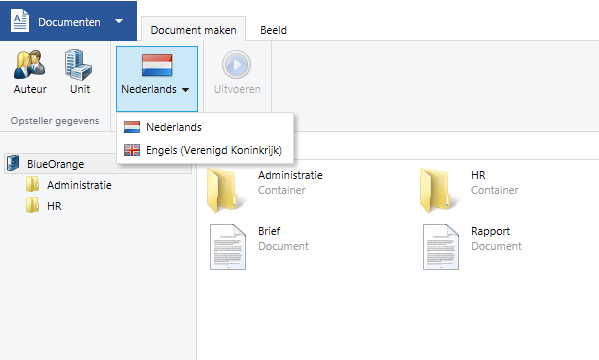 The documents can be sorted in folders to group them together more clearly. By allocating rights you can determine which users get access to certain documents. Is your organisation aimed at an international market? Our solution supports the creation of documents in different languages. You can also modify the language of the input screens, allowing your colleagues abroad to work in their own language. We have different functions that make working with Microsoft Word more enjoyable. One example is the display logo function. This allows you to choose whether to display the logo on a document. Ideal when printing on pre-printed paper, or alternatively, if you want to create a PDF file with your logo.